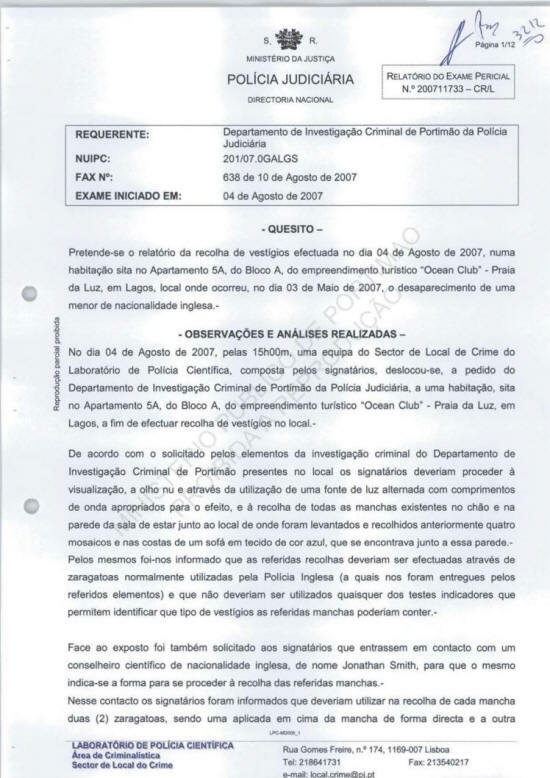 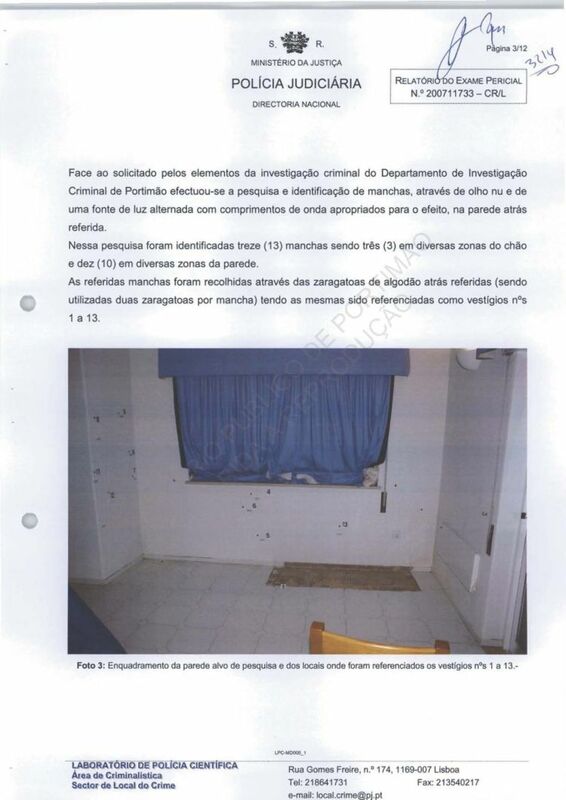 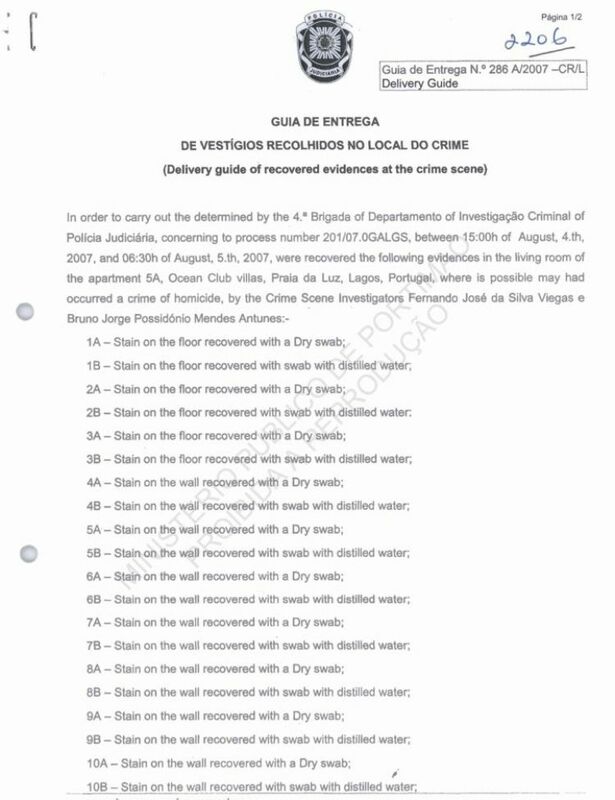 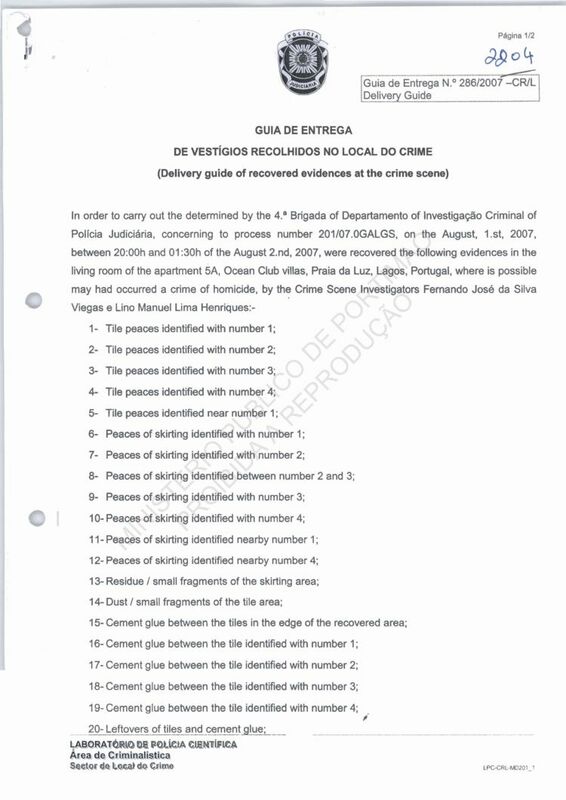 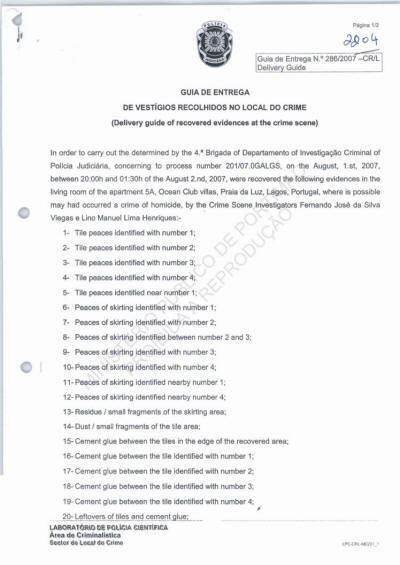 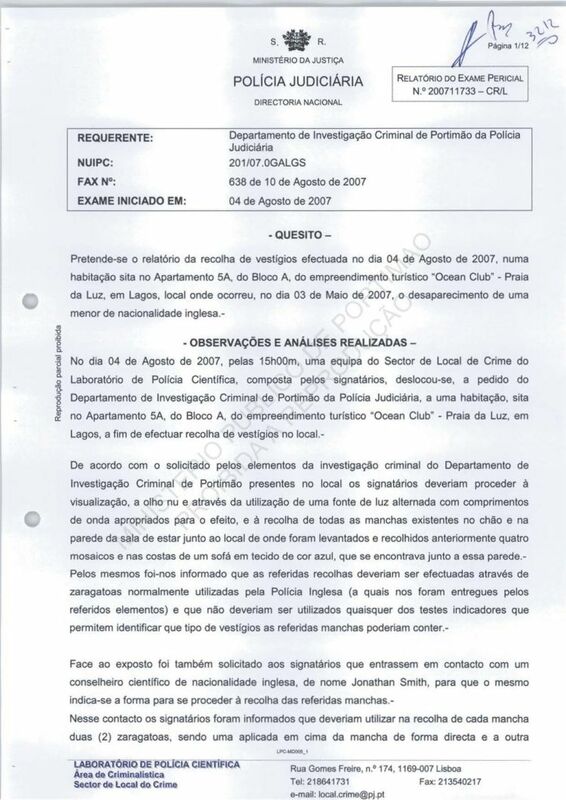 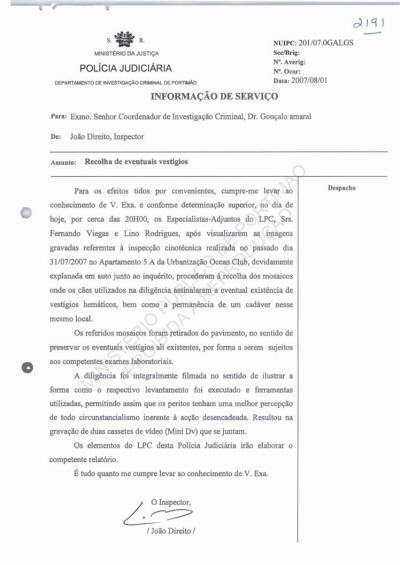 I bring to your attention in accordance with instructions received, that today, around 20h00, LPC Assistant Specialists Fernando Viegas and Lino Rodrigues, after seeing recorded images relating to the canine inspection conducted on 31 July 2007 in apartment 5A of the Ocean Club, duly explained in an official statement in the case file, they proceeded to collect [recover] the floor tiles where the dogs used in the activity indicated [alerted to] the possible existence of blood traces along with the position of a cadaver in that location. 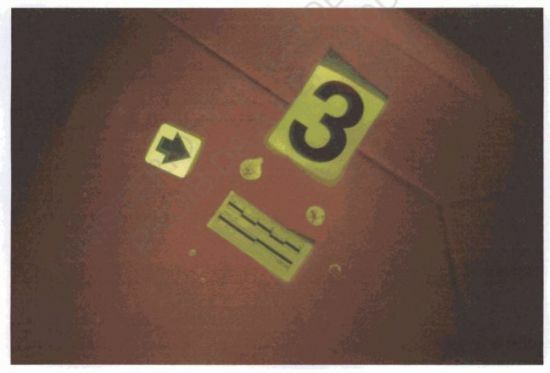 The activity was filmed in a way to illustrate the manner in which the uplifting was performed and the tools used, allowing that the experts would have a better understanding of all the circumstances inherent in the removal action. This resulted in the recordings of two video cassettes (Mini DV) which are attached. 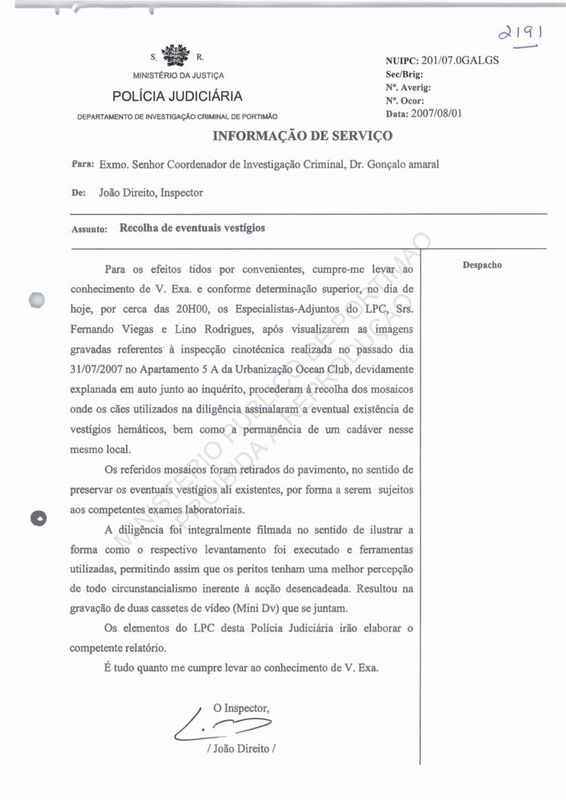 The LPC officers are going to produce the official report. That is all I have to advise. Who delivers - Illegible, (to me), handwritten Signature. 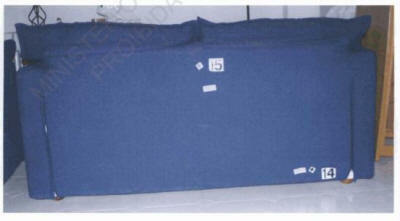 16B - White curtain behind blue curtain and armband. 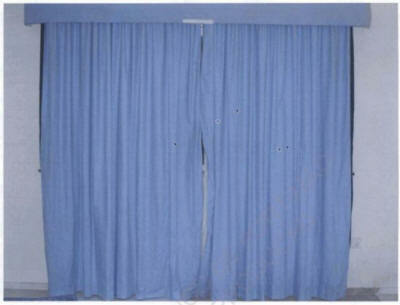 1 - Piece of curtain. 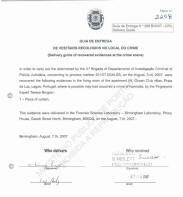 there occurred, on 3 May 2007, the disappearance of a minor of English nationality. 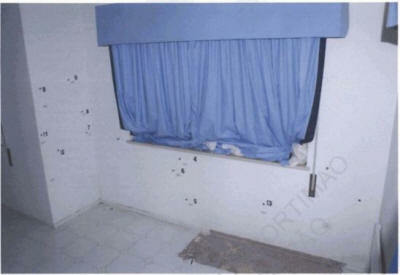 and to the recovery of all spots [stains; marks] existing on the floor and on the wall of the living room next to the place from where there were previously lifted and collected four floor tiles, and on the back of the blue, cloth-upholstered sofas that were next to that wall. 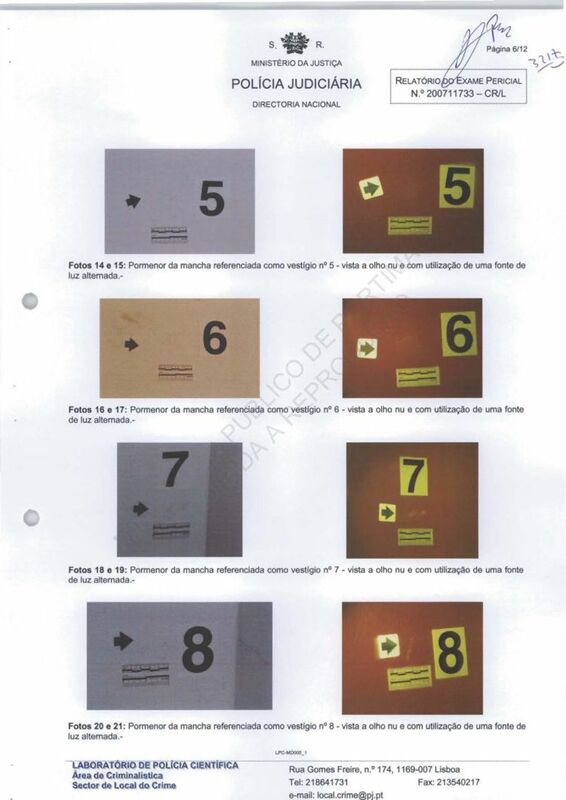 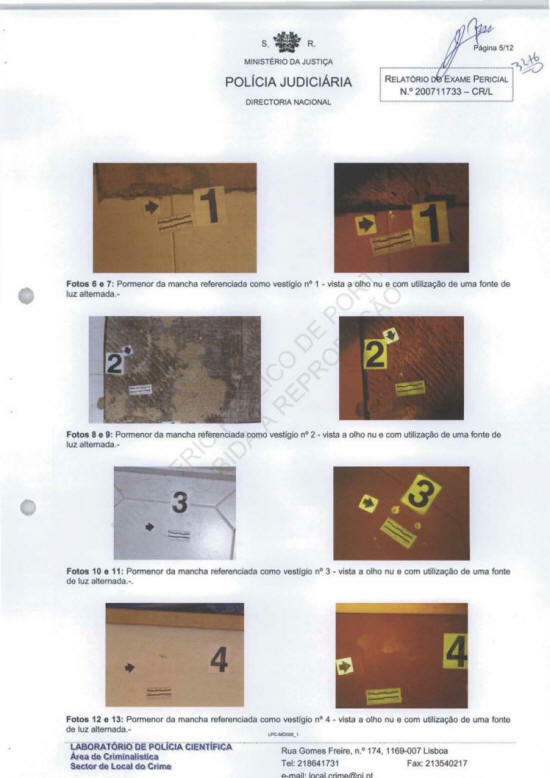 to identify what type of trace evidence those spots might contain. 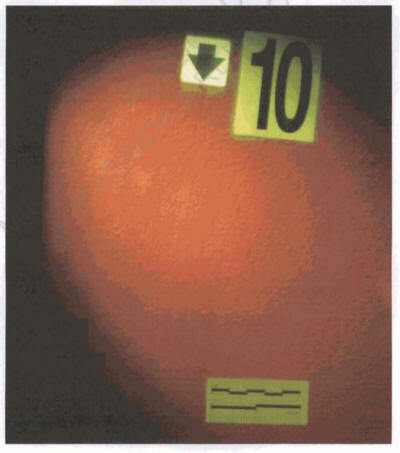 to proceed with the recovery of those spots.In that contact the undersigned were told that they should use in the recovery of each spot two (2) swabs: one applied directly onto the spot, and the other previously moistened with distilled water and then applied onto the spot. 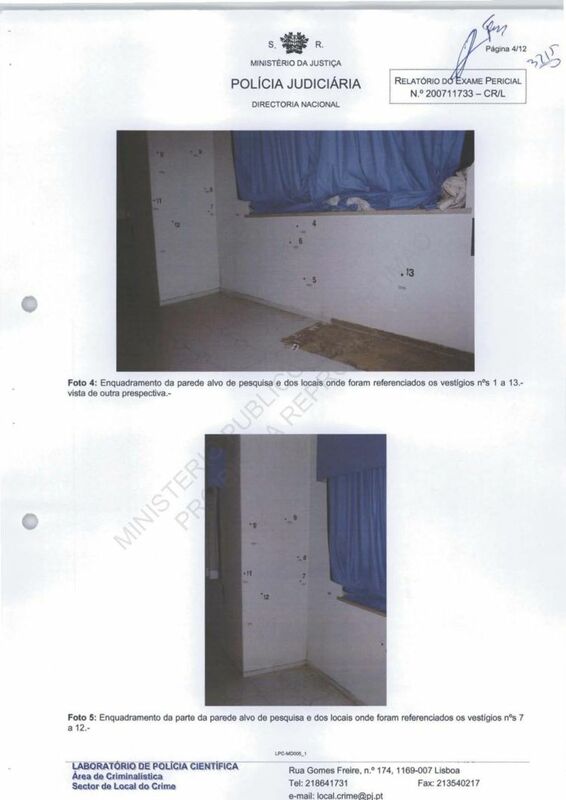 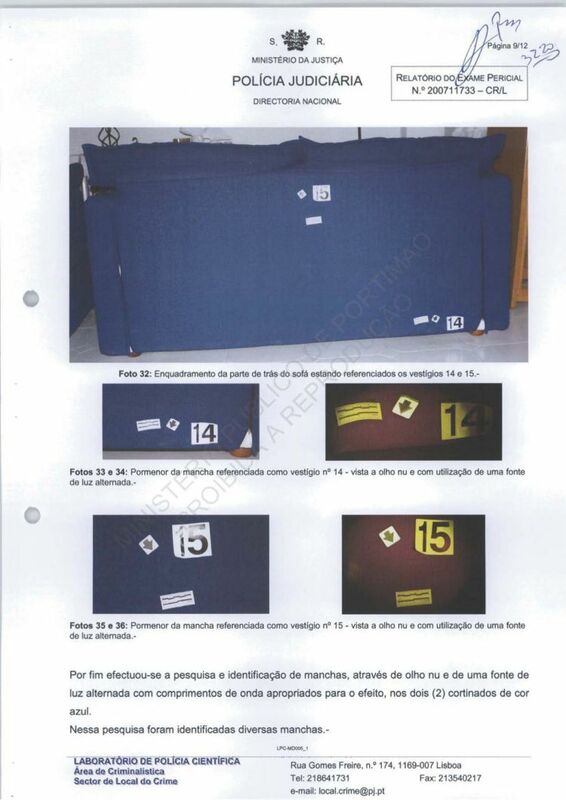 Photos 1 and 2: Pictures of the general locations of the wall and rear of the sofa from which spots were collected. 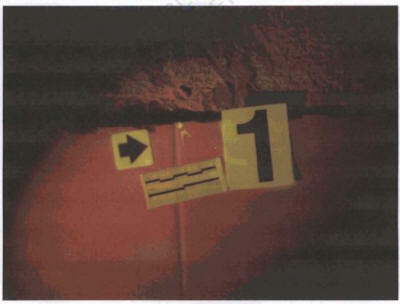 In line with the above request from the DIC officers the search and identification of spots was done, in natural light and using a light source that altered wavelengths appropriately for the job, on the wall. In the search there were thirteen (13) spots, there being three (3) in diverse areas of the floor and ten (10) in diverse areas of the wall. 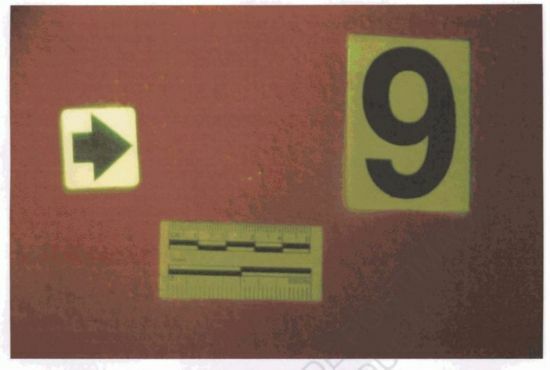 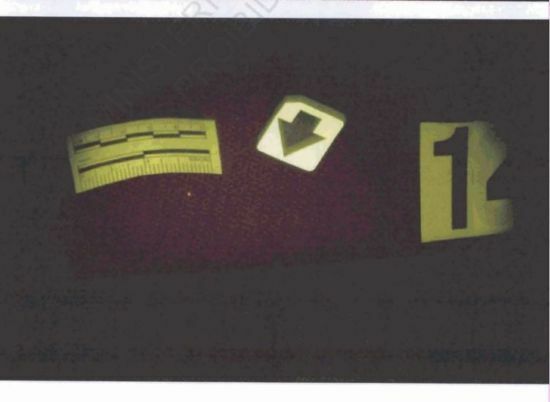 Those spots were recovered with cotton swabs referred to before (two swabs being used for each spot) they having been referenced as trace evidence numbers 1 to 13. 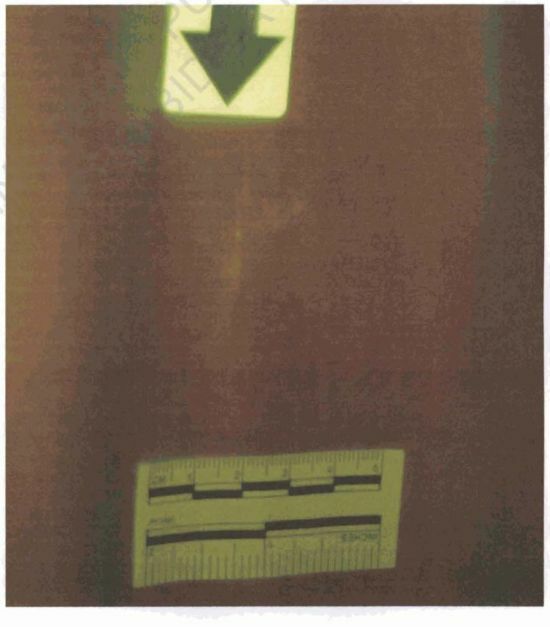 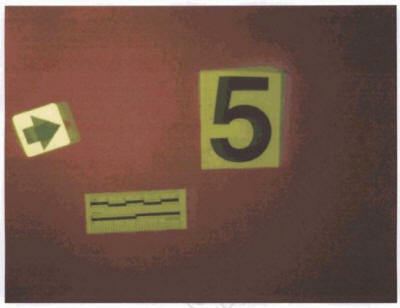 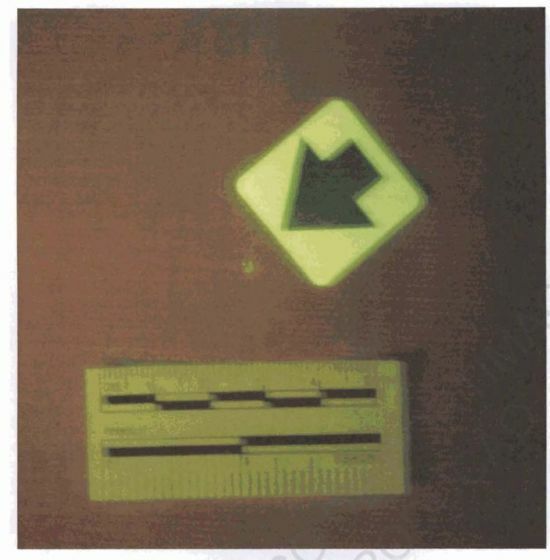 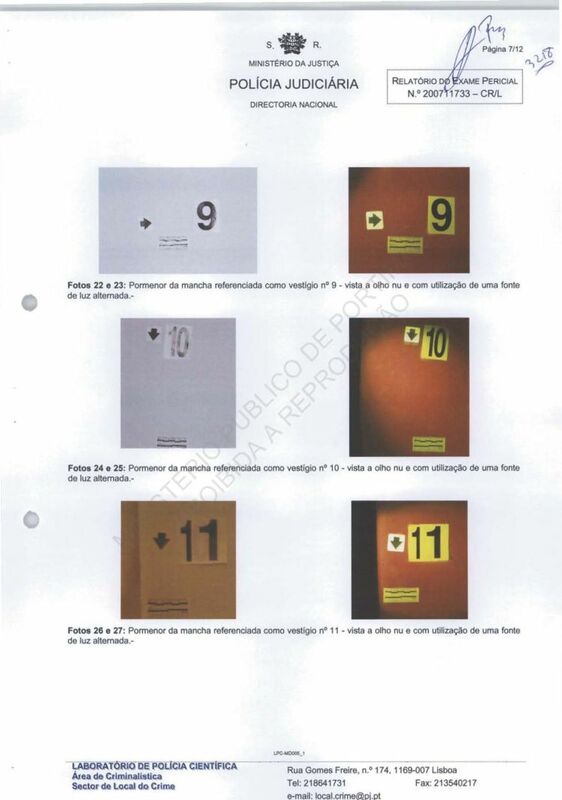 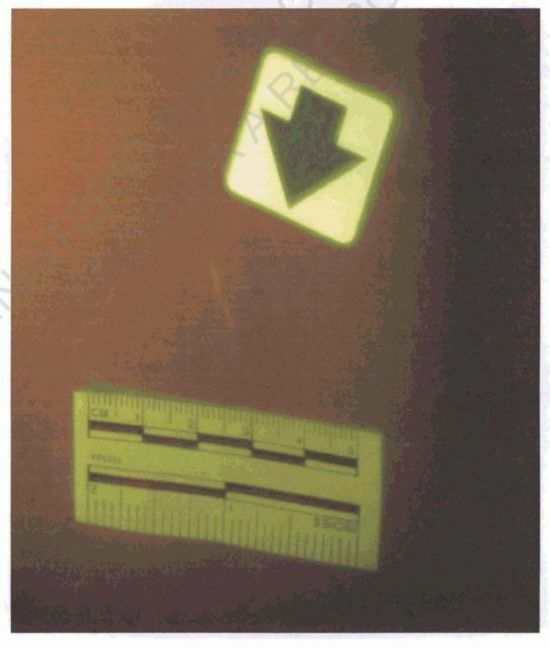 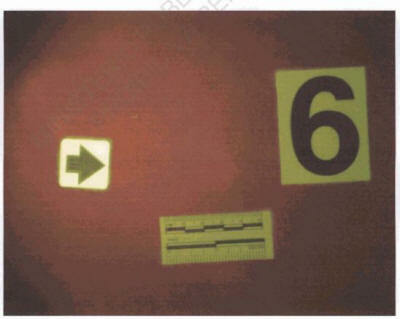 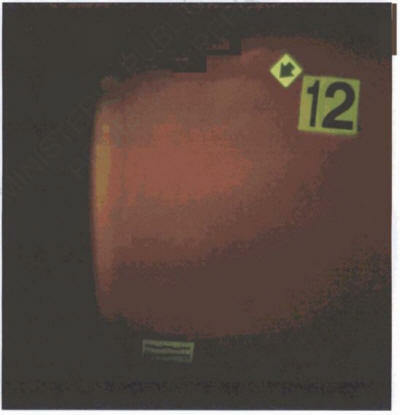 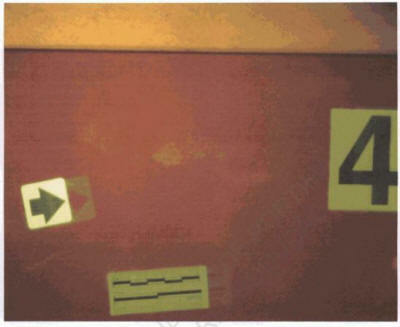 Photos 3 through 5: Pictures of the locations where spots were identified and from which trace evidence [swabs] numbered 1 to 13 were collected. Photos 6 through 31: Detailed pictures, in natural and altered-wavelength light, of each of the spots numbered 1 to 13.
upholstered sofas that had been next to the wall. 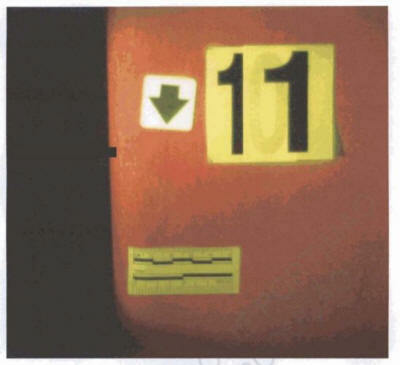 Two (2) spots were identified in that search. 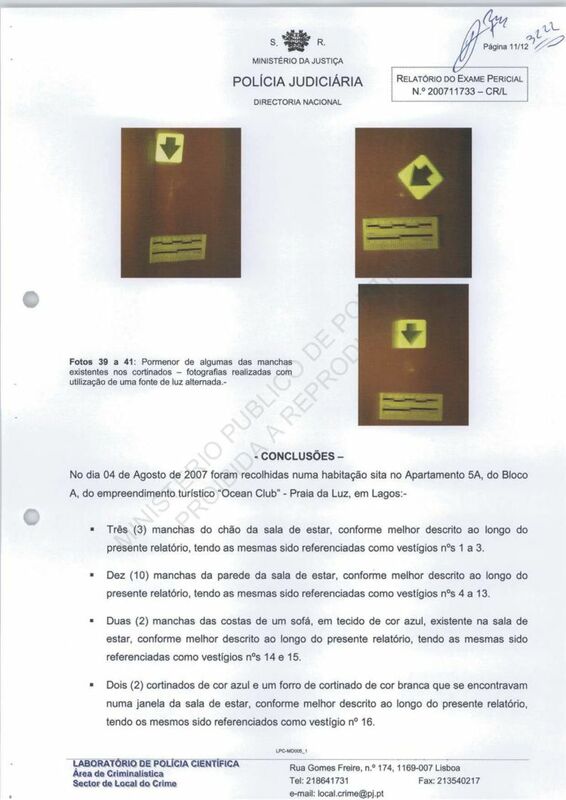 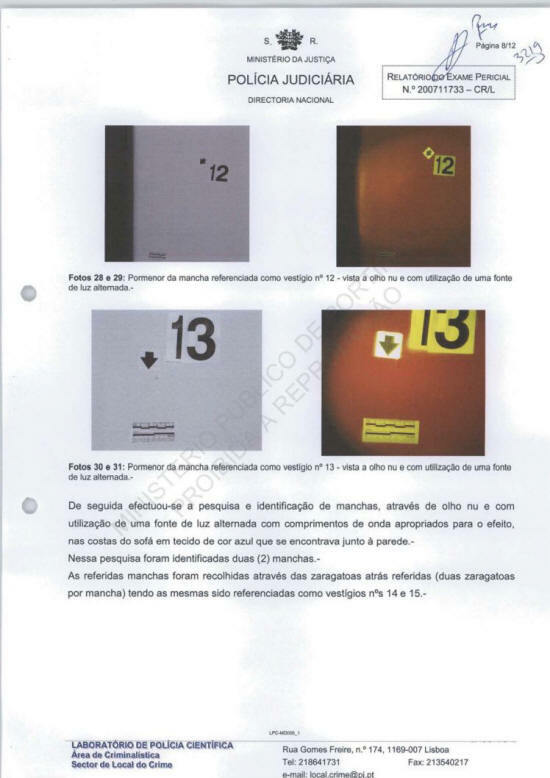 Those spots were recovered using the above-mentioned swabs (two swabs per spot) they having been referenced as trace evidence numbers 14 and 15. 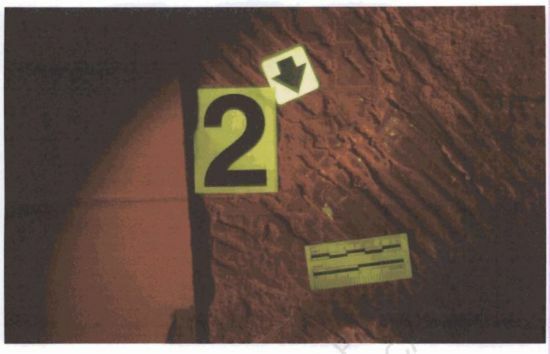 Photos 32 through 36: General location and detailed pictures of the spots numbered 14 and 15. 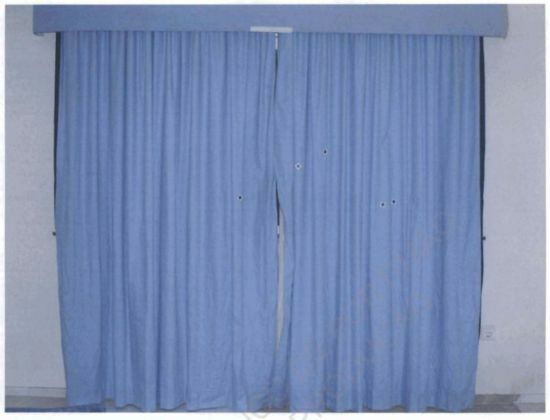 Finally, the search and identification of spots, in natural and altered-wavelength light appropriate for the job, was made on two (2) blue curtains. 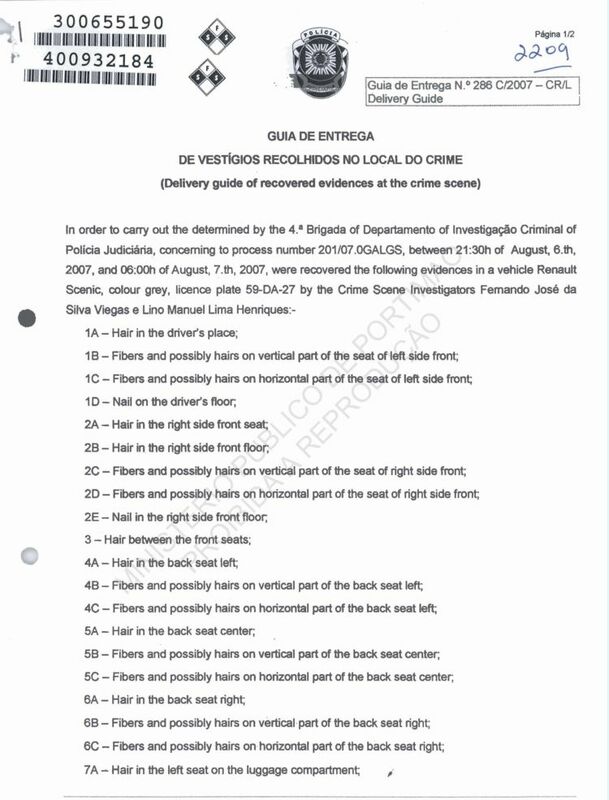 Several spots were found. 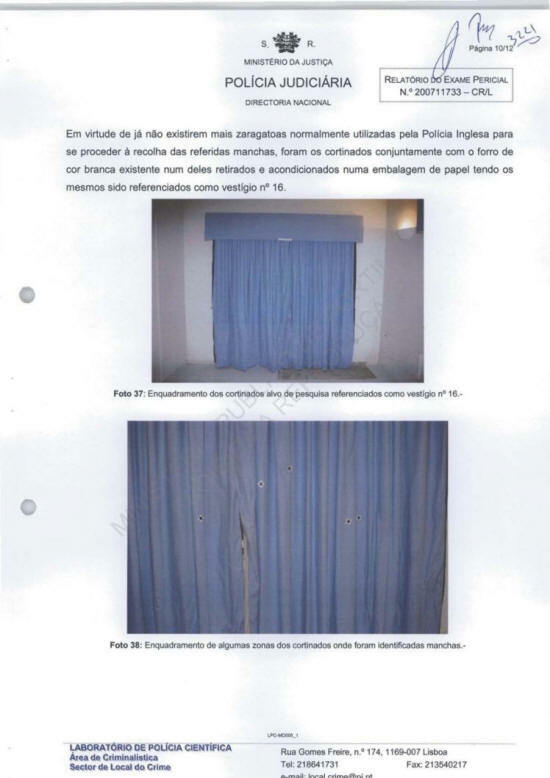 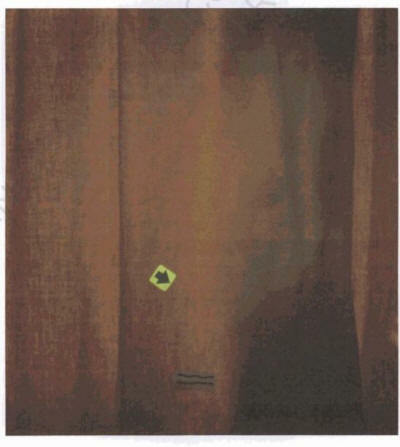 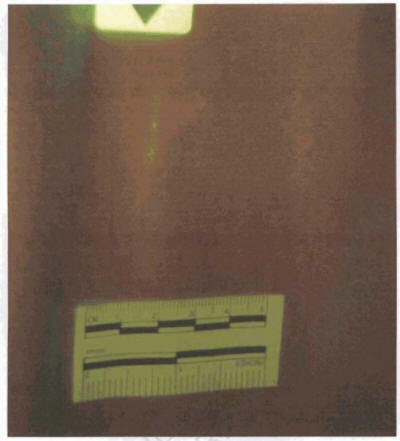 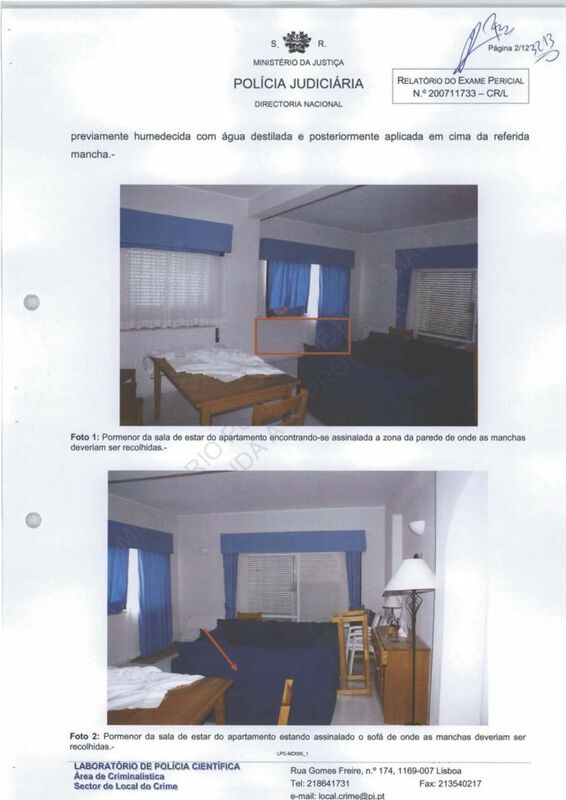 Because there were no further English police swabs available, the [blue] curtains, together with their white lining, were taken and put into a paper package referenced as trace evidence number 16. 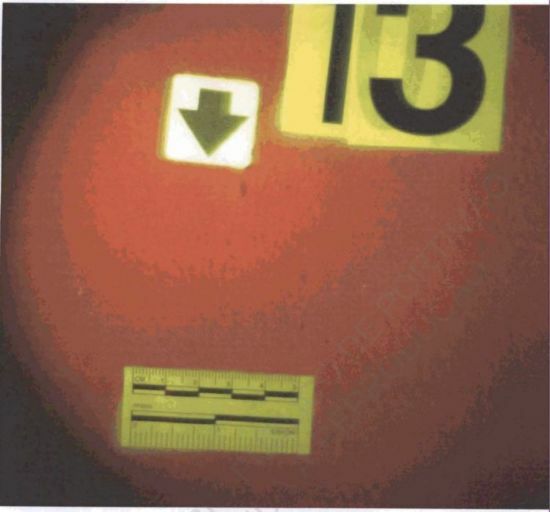 Photos 39 through 41: Detailed pictures of the curtain spots in wavelength-altered light. 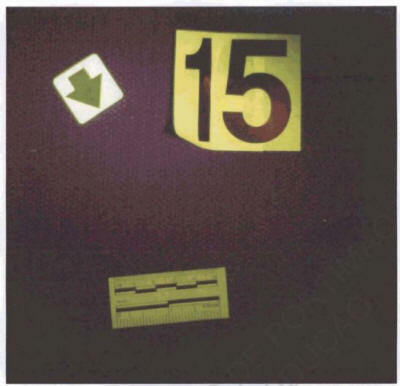 room, numbered as trace evidence 16. 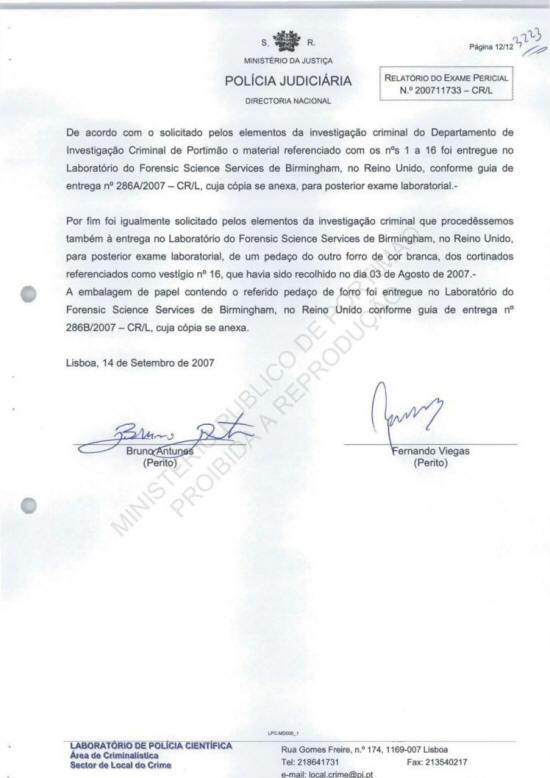 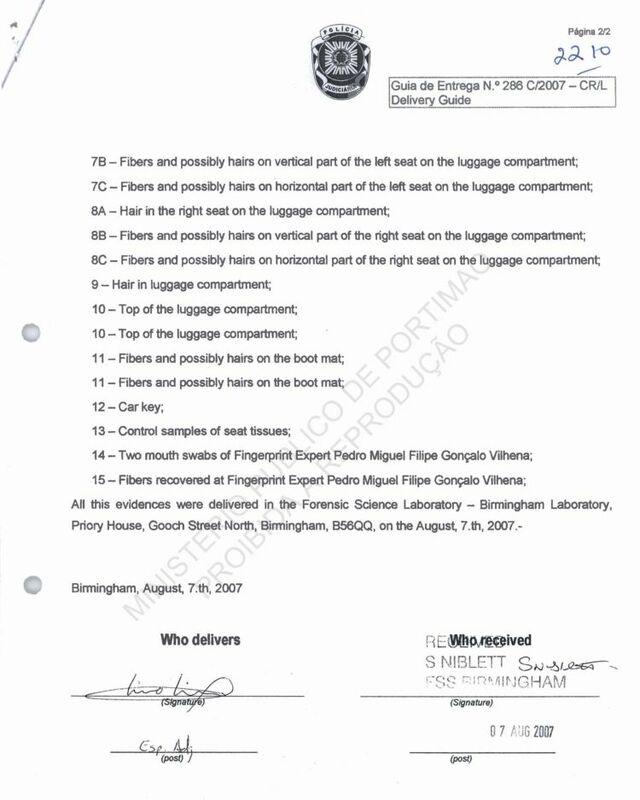 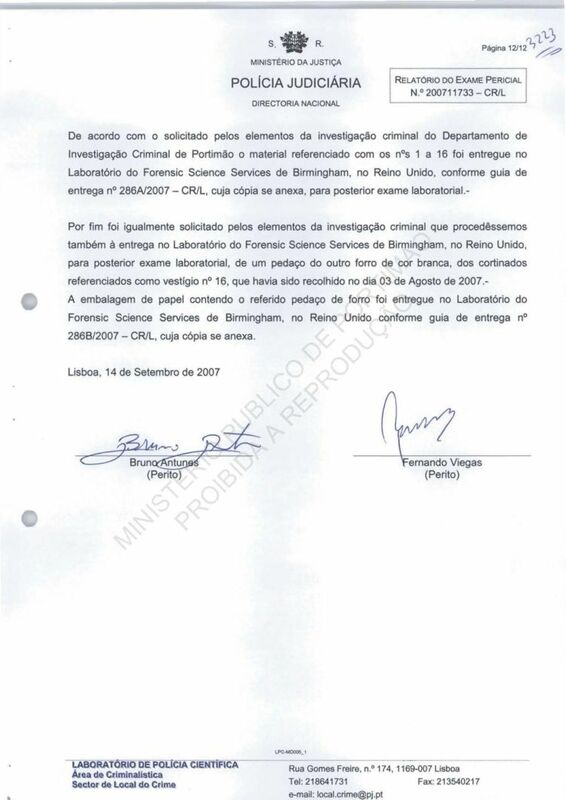 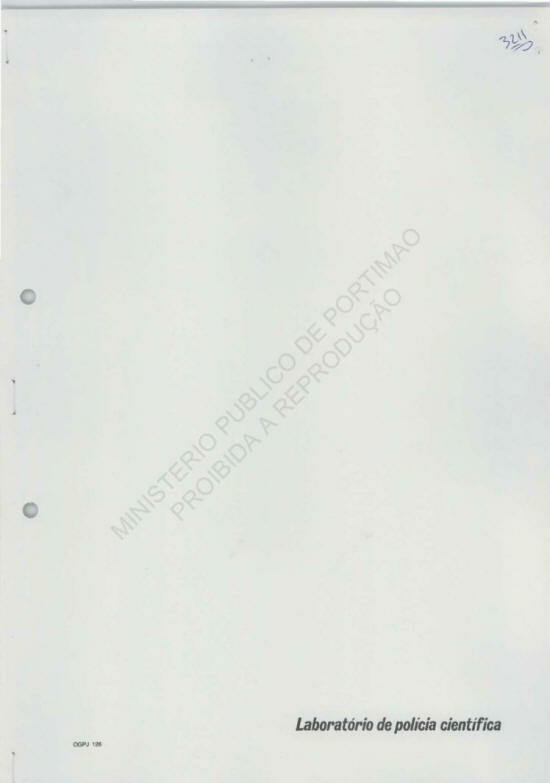 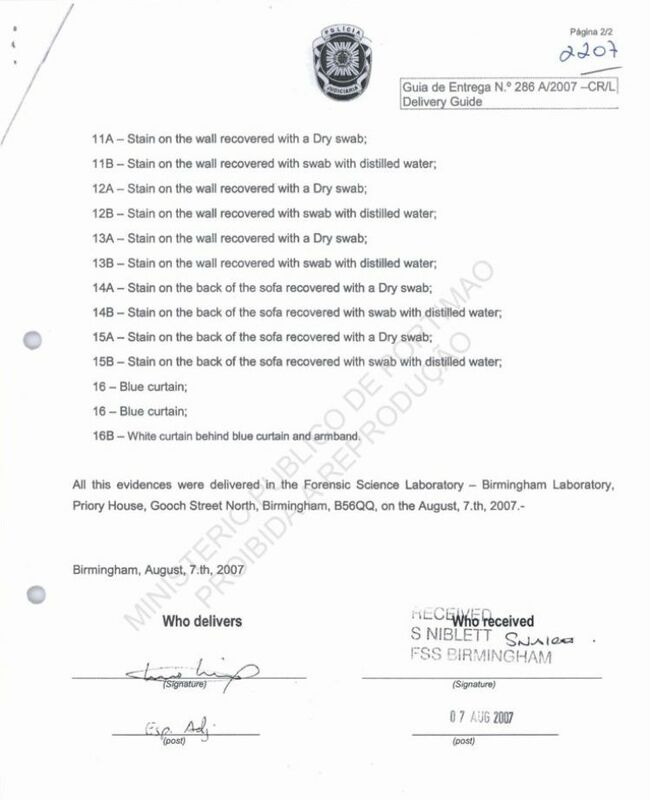 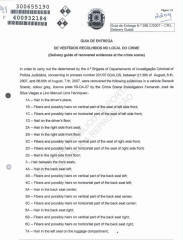 In accordance with the request by officers of the DIC Portimao the material referenced as 1 to 16 were delivered to FSS Laboratory, Birmingham, United Kingdom under cover of delivery note number 286A/2007-CR/L, a copy of which is attached, for further laboratory examination. 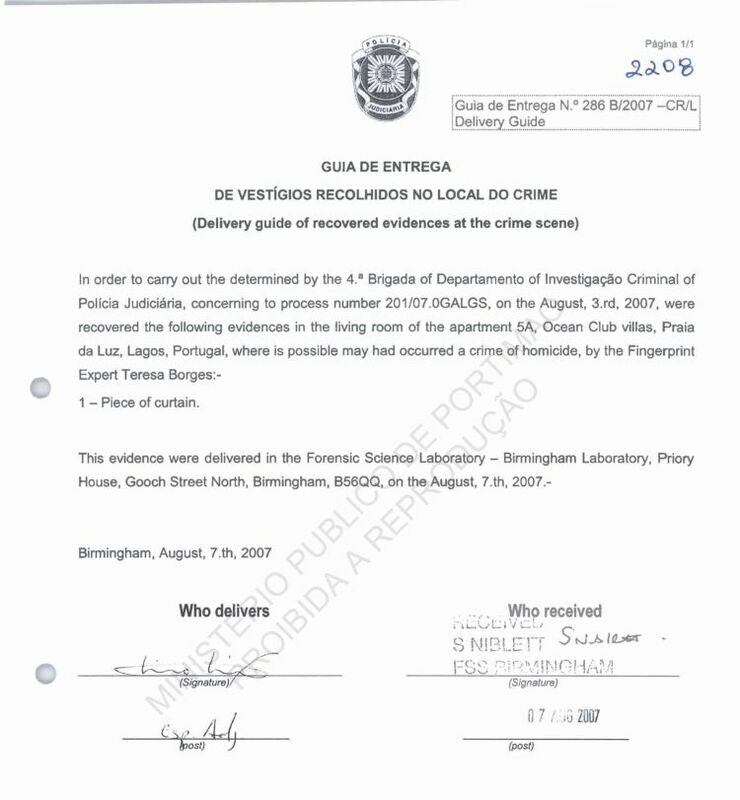 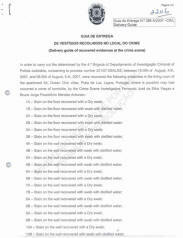 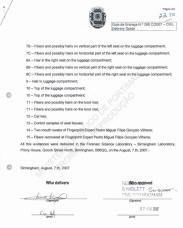 that had been collected on 3 August 2007. 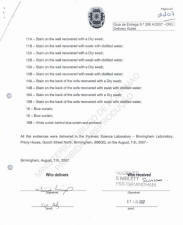 Birmingham, in the United Kingdom, under cover of delivery note 286B/2007-CR/L, a copy of which is attached. 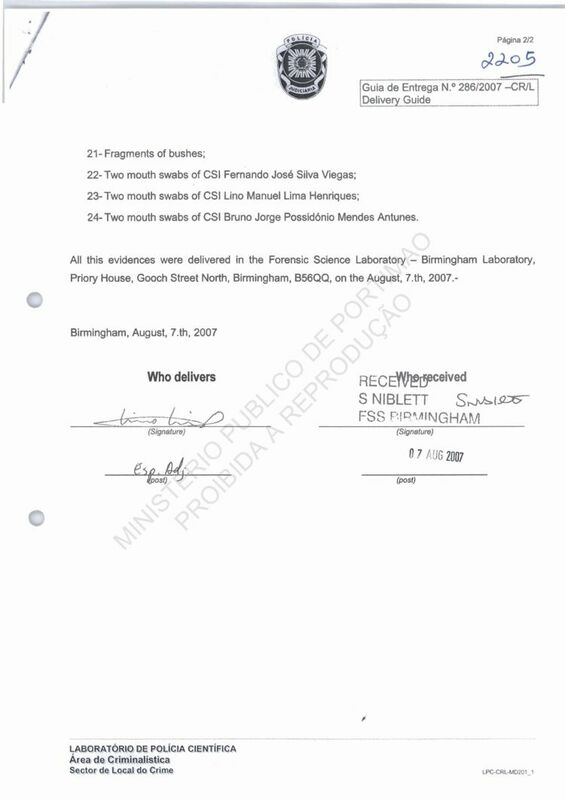 [Signed] Bruno A. and Fernando V.